Ooooo! Could this be the smoking gun the MSM has been waiting for?! Over the course of the campaign, some unknown private citizens working for the Trump Campaign, or advising the campaign, made 18 calls/emails to Russian officials, or Russian nationals, or people who have been to Russia, or possibly to people who know people who have been to Russia, or something, according to someone. 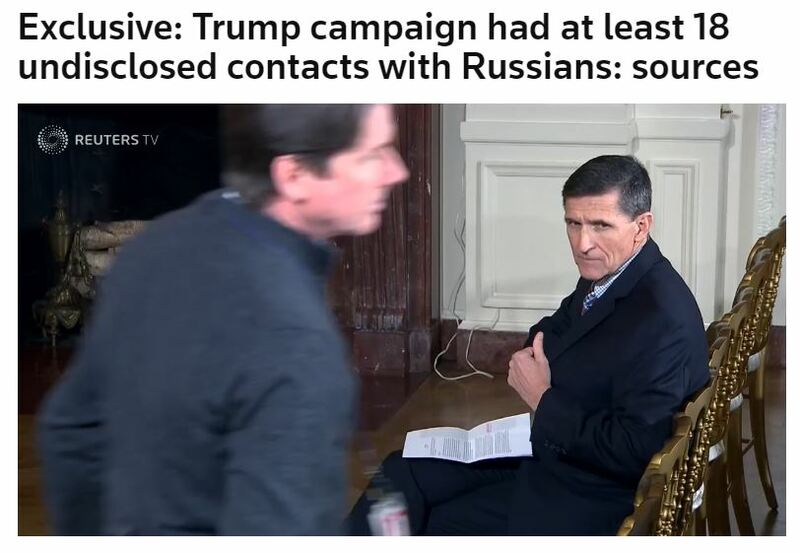 This entry was posted in Fake News, Politics and tagged Fake News, Flynn, Reuters, Russia, Trump by paulmoroni. Bookmark the permalink.